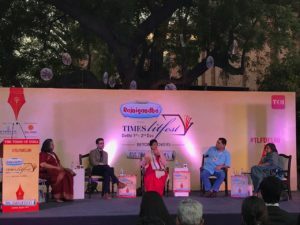 The Times LitFest Delhi ( 1-2 Dec 2018) was organised at the India Habitat Centre, New Delhi. 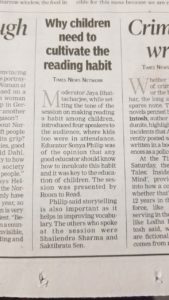 I moderated two sessions with the both panel discussions focussed on reading. The first panel was on how do cultivate the love of reading amongst children. My co-panelists were Saktibrata Sen, Programme Director, Room to Read India Trust; Manisha Chaudhry, co-founder Manan Books; Sonya Philips, Founder, Learning Matters Foundation and is a reading specialist and Shailendra Sharma, Principal Advisor (Hon) to the Director Education, Government of NCT Delhi, India. The freewheeling conversation was on ways to promote reading. Every panelist spoke about their strengths and initiatives. From being a part of the government as is Mr Sharma and realising that it is critical to have a reading corner in every class and every section. So much so that the Delhi government has now allocated a handsome budget of Rs 10,000 / section to buy books. Fact is that even today few families can afford to buy newspapers, magazines, let alone books. So the first time many children particularly in the government primary schools hold a book is their school textbook. Few have any role models in the adults and older children in their immediate environment and as Principal Advisor to the government, Mr Sharma’s job is to introduce the love of reading. 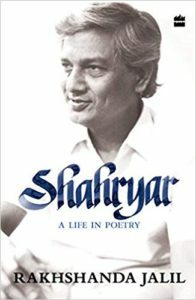 Both Mr Sharma and Mr Sen were of the view that reading is a lifeskill that is critical and needs to be learned beyond just being able to identify your name in whatever written script the individual is familiar with. Mr Sen, representing Room to Read, is involved in setting up partnerships with the governments to set up libraries. In India the Room to Read India Trust is working with 11 state governments. Ms Philips stressed on how till Grade 2 a child learns “how to read” but after that the emphasis is on “learning to read”. Ms Chaudhury with her many years of experience in publishing, looking at multilingual publishing and the critical need for children to have books in their own languages rather than only in English is what spurs her on to create new material every single day. She has recently launched two new magazines in Hindi called Mithvan and Chahak, the latter is meant for the early grade reader. 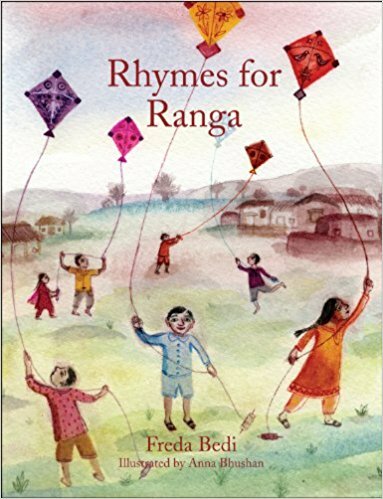 Everyone was of the agreement that it is important to create the joy of reading and align it as closely as possible to the child’s lived experience rather than alienate him/her from using complicated language in the written word. This was illustrated beautifully by an anecdote Mr Sharma shared about the complicated language used in a Hindi textbook to describe food which was a far cry from what is commonly used at home on a daily basis. Manisha Chaudhry spoke of her earlier initiatives to publish in tribal languages. Alas we ran short of time otherwise it was promising to become a wonderful conversation on how to cultivate the joy of reading in children. L-R: Ranjana Sengupta, Parth Mehrotra, Jaya Bhattacharji Rose, Udayan Mitra and Himanjali Sankar. The second panel discussion was on “What is India reading?”. 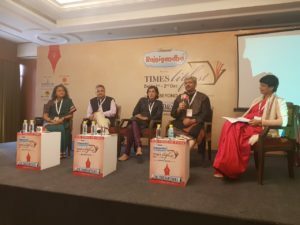 The panelists consisted of commissioning editors of four prominent publishing houses — Himanjali Sankar, Simon & Schuster India; Ranjana Sengupta, Penguin Random House India; Parth Mehrotra, Juggernaut and Udayan Mitra, HarperCollins India. Once again a freewheeling, adda-like, conversation about trying to figure out what India reads. The role of a commissioning editor has changed quite a lot in recent years. 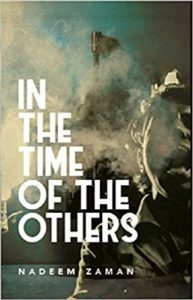 Traditionally commissioning editors were responsible for forming reading tastes but as Udayan Mitra pointed out that at times now the editor has to commission based on events and trends too. It is a kind of commissioning that did not exist earlier. Today readers are accessing books through multiple platforms and in various formats — ebooks and audio books. 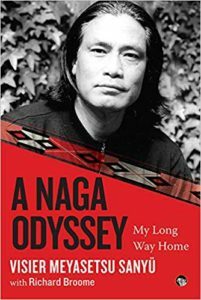 It becomes increasingly difficult to ascertain how and what anyone is reading, let along a sub-continent like India where so many languages abound and there is rich regional literature too. Measuring reading tastes as Juggernaut is doing with their app and also because they are able to control their production pipeline while platform is something few are able to do even now. Most editors and publishing houses rely on print products that once released into the market are impossible to track. Some may be sold through brick-and-mortar stores, others through online spaces and yet other copies get sold as remaindered copies and secondhand books. Listen to the conversation. So much was said. 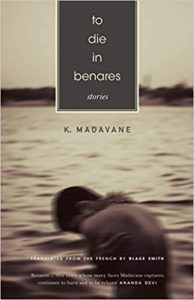 Many important bases within the Indian publishing landscape were touched upon. So much to think about. What is India Reading? 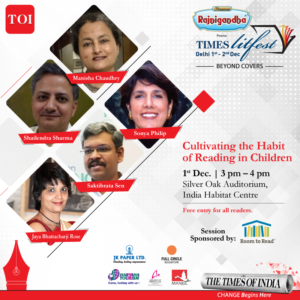 watch the conversation live at #TLFDelhi with Udayan Mitra, Himanjali Sankar, Ranjana Sengupta and Parth Mehrotra talking to Jaya Bhattacharji Rose. All in all two fantastic conversations that I was glad to be a part of. 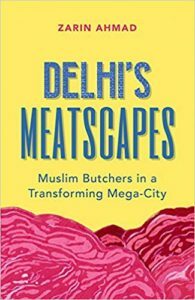 Zarin Ahmad’s Delhi’s Meatscapes: Muslim Butchers in a Transforming Mega-City is a history of predominantly Muslim butchers particularly the Qureshi community (biradri) but others in the meat sector are discussed as well. 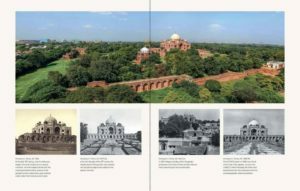 A fascinating history of how the butchers ( for halal and jhatka meat) have operated in Delhi for generations with the Idgah abattoir being established in the early twentieth century by the British when they moved the capital from Calcutta to Delhi. The next major shift was with Partition and the divisions created within the abattoir for butchering halal and jhatka meat keeping religious sentiments of the Muslims and Hindus in mind, respectively. 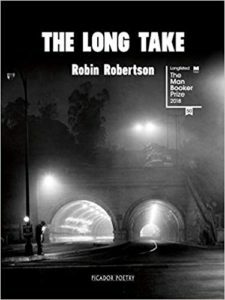 At the same time it is a disturbing account of how there have been massive shifts in the business in recent years. These changes are mostly due to political and economic pressures such as shifting the abattoir to the outskirts of the National Capital Region where slowly even the state support is being taken away and only the private firm managing it allowed to operate. It has affected the business of local butchers. Also the rising intolerance towards Muslims and those who eat meat has also resulted in changing cityscapes. Zarin Ahmad despite being a Muslim herself did not find it easy to be accepted in what is essentially a male-dominated industry. Women are never to be seen in or near abattoirs though some may sell meat in their shops. This gender dimension adds an equally interesting layer to the book for how Zarin Ahmad negotiates these spaces while gathering information. While it took the butchers a while to get used to the presence of a woman in the abattoir they were equally suspicious of her being a journalist. But small courtesies like wearing full-sleeved salwar-kameez with a dupatta and covering her head when the call for prayers ( azan) was heard helped get her accepted. Interestingly being a woman even though she was not a Qureshi allowed her to enter the women’s quarters in their homes and was readily accepted. 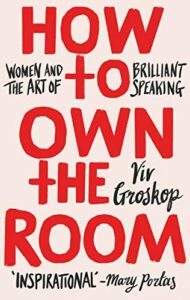 She was able to have free flowing informal conversations that would inevitably venture into personal spaces but she also realised that it was not a one-way street. Field work research that involved asking questions of individuals meant that she too had to be prepared to answer a few in return from equally inquisitive people she met. This is a multi-layered book that must be read by everyone for its witnessing by Zarin Ahmed of a tumultuous change in the meat sector of Delhi and its impact on the communities that are dependent upon it for survival. You do not need to be a academic to appreciate it. 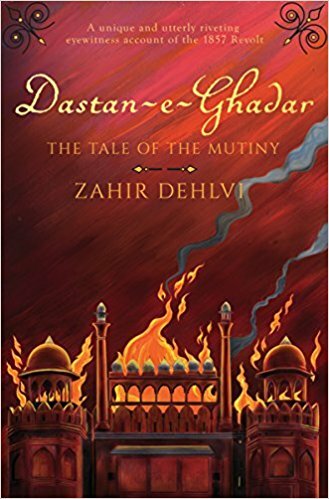 Dastan-e-Ghadar is meant to be a testimony to the events of 1857 and was written decades later. 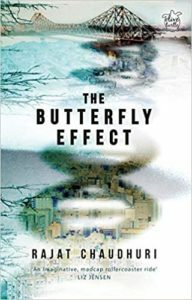 It is a sequence of events strung together but because it was written close to the event there are details in it that are fascinating. The chaos in the city, the confusion amongst the common people, the rumour mongering, the manner in which people fled to save themselves, the capture of the Emperor etc. 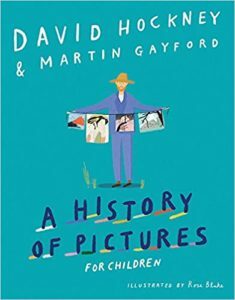 All these are now well-known facts but to read the events in a contemporary account adds a different dimension to the experience of the historical event. 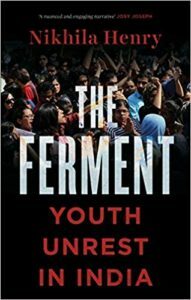 According to historian Narayani Gupta in her review of the book in the Hindu “…it has an immediacy, and is deeply moving”. She also points out that the memoir was originally “Titled Taraz-e-Zahiri, it was called Dastan-e-Ghadar when first published in 1914. ” The book was printed posthumously from Lahore in (or about) 1914. A second edition appeared from Lahore in 1955 (an edition of which is with Irfan Habib who reviewed the book for Outlook magazine). Rana Safvi’s decision to translate the work into English is, therefore, to be welcomed. It seems a pity, however, that her rendering bears sign of some haste, so that the author’s statements in even his preface (‘Prelude’) are misunderstood. He did not indulge in “ang­­uishing over the past and spending my time in prayer”, but “considering the past to be past and holding what had happened in the past to be just mercies from God, I let pass time in worldly ways of conduct”. He was now not ind­uced to write because “I had [gained] access to letters and documents”, as the translation tells us, but because of the persuasions of his sincere friends and “a multitude of letters [containing such requests] having accumulated” (Urdu ed., Lahore, 1955 p. 17). Both the academics who reviewed the English translation are of the agreement that the second half of the book where Zahir’s service in the states of Alwar, Jaipur and Tonk are possibly of greater interest than that of the events of 1857. Nevertheless Dastan-e-Ghadar is a fascinating testimony for those reading first source material about 1857 for the first time. 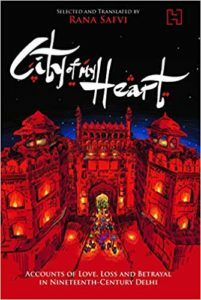 Rana Safvi’s translation is an important contribution to Indian literature. 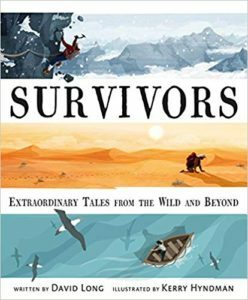 Following is an extract from the book published with the permission of the publishers. Just a few days had passed when another event took place. Half a mile from Kashmiri Darwaza, there was a yellow kothi near the ridge, where the purbias had set up a front and put up big guns and cannons. They were using them to inflict considerable damage on the British forces. They had two platoons and people to man the artillery present at all times. Everyone had to stay there for two watches. One day, as luck would have it, the soldiers departing after day duty told their replacements to be careful, just in case the enemy attacked at night. The night guards took their places. Now let me tell you a few things about the night guard. It was these very men who had looted the bakshikhana and the bank. They were often in a state of stupor thanks to drinking bhang and eating kalakand and laddu peda during the day. When they reached the kothi, they were alert at first, but when the night came and a cool breeze started blowing, they were unable to stay awake. They kept the guns at an angle and, spreading their dhotis, fell into deep sleep. These people were snoring away to glory. The spies took this news to the British. They informed them that the front was abandoned, the soldiers were all fast asleep and it was the right time to attack. One soldier got up, rubbing his eyes. The Gurkhas shot his head off. They started attacking with swords and sabres. There was tumult and crying from every side and the few who were not killed ran in a state of panic towards the city. to enter the city, as it wasn’t safe to leave them open at night. They were resting on the patri outside Kashmiri Darwaza when the ambushed soldiers reached them. After abusing and scolding them, the Nasirabad platoon told these fleeing soldiers to lie with them and they themselves lay down silently but with loaded guns. parapet of Kashmiri Darwaza and Siyah Burj also joined in when they saw the British forces. The situation can be best described as Khuda de bande le—only divine intervention could help. It was difficult to save oneself from the volleys of fire. There were heaps of corpses all over. The British troops retreated. They rushed back and took over the yellow kothi they had attacked earlier and turned their guns towards the city. These guns were now fired incessantly at the city. This continued for the whole night. which was now under British control. The British forces were also reinforced by troops from outside. on acquiring the valuable weapons that were on the dead officer. the officer’s corpse. It was a matter of prestige for both of them. The guns fired day and night and thousands of people were killed. dead body and slowly pulled it behind him. He and his fellows took the officer’s pistols and sword, and, after stripping the body of valuables, left it there. In the morning, the British saw that the body had disappeared. The battle was stopped. The purbia brought the weapons taken from the officer and showed them to everyone in the Qila. He brought it to the house of the royal steward. He showed them to Ahsanullah Khan and told him they had fought over these weapons for two days. carving on its hilt and the scabbard was black. Its colour was like the neck of a peacock, with something written on it in gold. GST has been implemented as of 1 July 2017. It is early days as yet but GBO is organising a roundtable on the topic. I will be moderating it. Here are the details. Greetings from the German Book Office! In the view of the current GST regime, publishers and printers have many questions about the taxation purview. German Book Office cordially invites you to participate in the Round Table on GST at JUMPSTART 2017. This is an open round-table especially designed for clarifications on the matter of GST, to be held at India International Centre, New Wing. 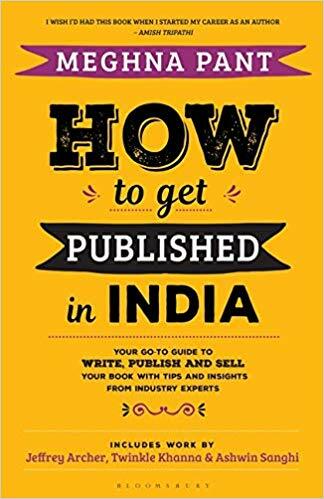 It will be moderated by Jaya Bhattacharji Rose, International Publishing Consultant. The Publishing & Print Industry is in a state of dilemma with the new tax structure affecting the business. Come join us in this open house discussion while we decode GST. To confirm your availability please contact the following number: 011 49120951. By invitation only. The German Book Office New Delhi is a joint venture between the Frankfurt Book Fair And the Federal Foreign Office, Berlin. I received the following note from renowned historian and member of INTACH, Swapna Liddle. 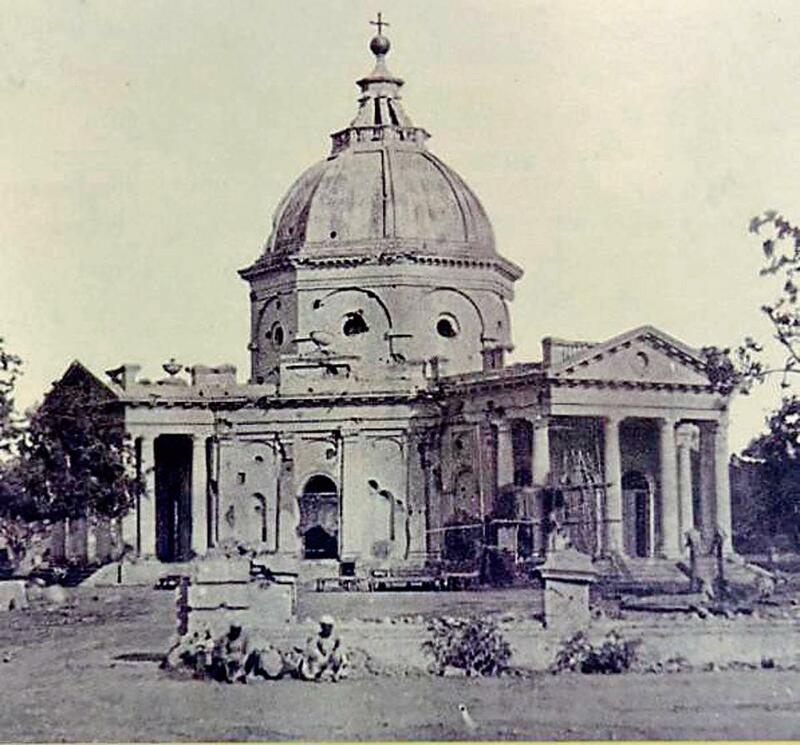 St James Church is Delhi’s oldest church, and was consecrated in 1836. It is also associated with one of India’s oldest army regiments, Skinner’s Horse, both the church and the regiment being founded by Colonel James Skinner. The church has been witness to many historic events, such as the Revolt of 1857. 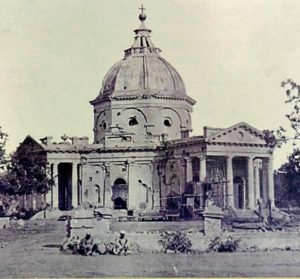 It was also the church where the Viceroy of India worshipped from 1912 onwards, when the capital was shifted from Calcutta to Delhi, until a church was built in New Delhi. Located in the historic precinct of Kashmiri Gate, St James’ is a notified Grade I heritage structure. 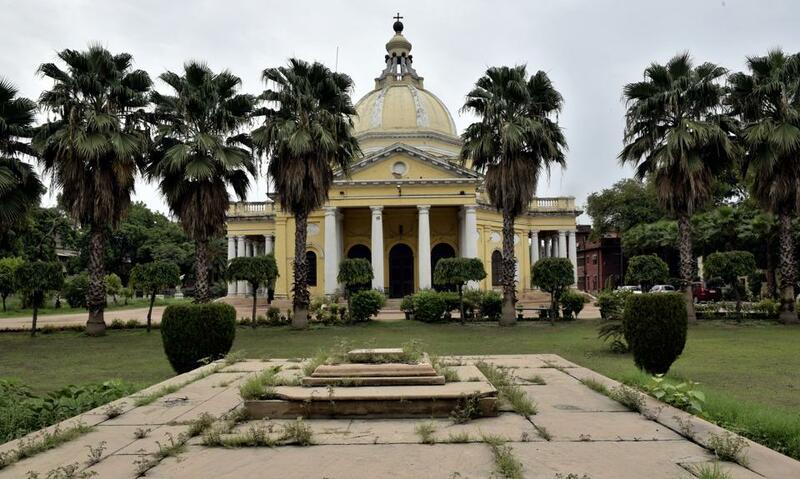 This historic structure is in need of urgent conservation, for which the Indian National Trust for Art and Cultural Heritage was engaged by the Church management to submit a Detailed Project Report, based on condition assessment, recommendations and cost estimates. INTACH’s report, which was prepared and submitted, indicates a total project cost of approximately Rs 3.5 crore. For more details please visit this link. 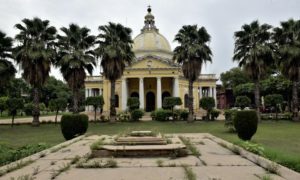 The Hindustan Times article on its restoration project was published on 16 July 2017. Donors can claim income tax deductions by routing their donation through INTACH. Their contribution will be put into the St James Church Restoration fund. All donations to INTACH receive a 50% Tax exemption under Section 80 G of the Income Tax Act. INTACH is also exempt from payment of income tax under Section 10 (C) 23 (iv) of the Income Tax Act. To fund this project through INTACH, drop an email to Kanika Dawar at Intach. INTACH is registered with the Ministry of Home Affairs for the receipt of foreign grants for the implementation of sponsored projects. Foreign Contribution Regulation Act (FCRA), Registration No. 231650350. 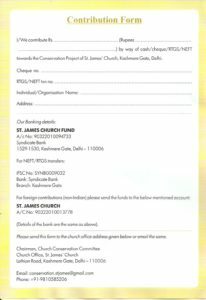 The church is happy to have both Indian and International contributions, as well as any corporate CSR funds – because heritage is eligible for CSR funding. 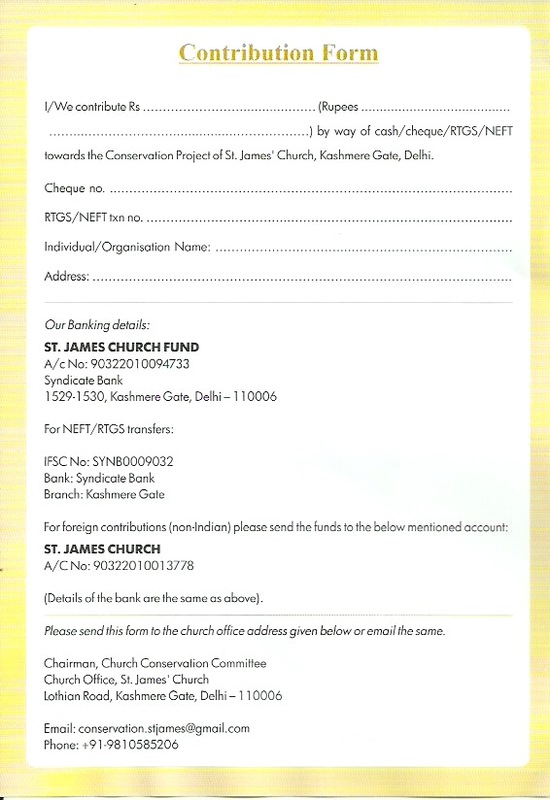 The contribution form details are given in the image. Along with her husband she became a left-wing activist — her socialist spirit was never to leave her even in later years upon conversion to Buddhism. 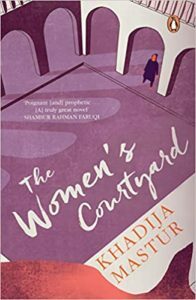 Her marriage took her through Lahore ( in undivided India), Kashmir, Delhi, and Dalhousie. 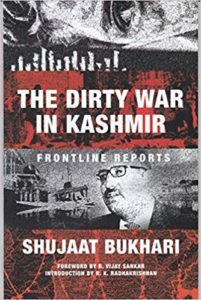 She witnessed Partition and though a firm follower of Gandhi and his non-violent means of struggle when in Kashmir she joined the women’s militia — the Women’s Self Defence Corps — started by some feisty members of the Communist Party affiliated with Sheikh Abdullah’s National Conference Party. Her husband was close to Sheikh Abdullah. Baba Bedi worked in the Kashmir administration “doing his part in promoting counterpropaganda” writing articles both in Kashmir and Delhi. The Bedi family spent five years in the state before the two men fell out in 1952 over their views on the Kashmir plebiscite, a political decision to let the people of Kashmir decide whether they wanted to join Pakistan or accede to India. She returned to Delhi to take on a government job as editor of Social Welfare, publication of the Central Social Welfare Board, part of the Ministry of Education. Social Welfare was written in English and translated into Hindi to reach as many people as possible. According to Vicki Mackenzie, Freda Bedi “chose with her heart — still wanting to help the poor and needy. The pay was low, but with her job came a government apartment”. It was during a United Nations assignment to Burma that she had an epiphanic experience concerning Buddhism and decided to convert. She soon began to drift away from her material existence and in 1960s moved to Dalhousie where she established the Young Lamas Home School. She also gave shelter to the many Buddhist nuns who had fled Tibet after the Dalai Lama escaped. She created a system which went against the severely hierarchical and patriarchal structure of Buddhist monasteries but allowed the nuns to have a more democratic and responsible way of functioning. Vicki Mackenzie documents this period of Freda Bedi’s life relying on extensive interviews with her three children — Ranga, the film actor Kabir Bedi and daughter, Guli — along with innumerable people who knew Freda. In fact she is unable to mask her surprise at how forthcoming everyone was with their recollections of Freda Bedi, sharing pictures and documents making Vicki remark that it was if this book was wanting to be written. Most importantly Vicki Mackenzie heard that the Dalai Lama himself would wonder why no book had ever been written as yet on Freda Bedi. Ever since going on a Buddhist retreat in 1976, Vicki Mackenzie’s writings have focused on Buddhism, reincarnation and role of women. 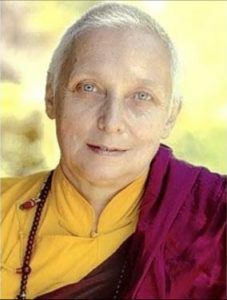 Even though Freda Bedi devoted the last twenty years of her life to Buddhism and left the family to work for its cause she remained extremely close to her children and husband. Her young daughter, Guli, who had been put into boarding school aged five recalls that every week punctually a letter would arrive from “mummy”. Even her sons knew that though they may have had an unorthodox upbringing, rich in experience but in financially straitened circumstances, they knew they could rely on their mother. For instance Kabir Bedi recounts he needed money to pay his fees at St. Stephen’s College and his mother advised him to ask a friend of theirs who readily gave the required amount. Her love for her family is also evident in a charming collection of poems she wrote for her eldest son, Ranga, called Rhymes for Ranga. 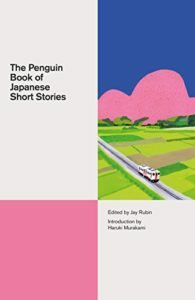 It was published as a collection of rhymes in 2010. Freda Bedi was the first European woman to convert to Buddhism. She was ordained in 1965. She is also credited with being the first nun to bring Tibetan Buddhism to the West. She was known as Sister Kechong Palmo although many Tibetans believed Freda to be an “emanation” of Tara, the female Buddha of Compassion in Action or the Divine Mother. Significantly whereever Freda went she was well-connected to the powers that be so was always able to get her way. In India, for instance, she knew politicians like the first prime minister of India, Jawaharlal Nehru and his daughter Indira, diplomats and other prominent citizens. In England she counted among her friends Barbara Castle, a fiery left-wing cabinet minister in the 1960s and 70s. In fact when Freda returned to Delhi in 1979 to attend a world buddhist congress she stayed as a guest of the hoteliers Oberois at their five star luxury property. It was here that she passed away aged sixty-six years and was cremated on the Oberoi farm. It is believed that a couple of years later Freda Bedi was “reincarnated as a Tibetan girl, Jamyang Dolma Lama, the daughter of His Eminence Beru Khyentse Rinpoche, a respected lineage holder enthroned by the Sixteenth Karmapa. Born in Tibet, Beru Khyentse Rinpoche had known Freda Bedi well, and had set up his own center in Bodhgaya”. Today it may seem commonplace to discuss Buddhism and encounter many celebrity converts such as Freda Bedi. But historically her contribution to Buddhism is extraordinarly. Her conversion and single-minded focus to do good constructively by the Tibetan Buddhists, soon after their spiritual leader — the Dalai Lama — fled Tibet for India was unusual for the day. As she was not only committed to the cause but would do anything in her power including calling upon her friends in senior positions to help her. Her persistence paid off and she was able to leave a well-defined legacy as is apparent in the Buddhist institutions she created at Dalhousie. More than a century after she was born the important influence Freda Bedi had on Buddhists is slowly gaining traction. 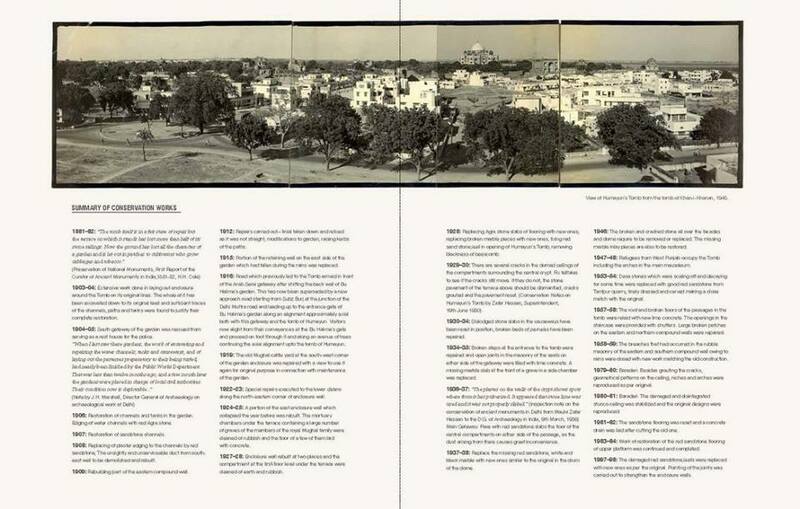 For instance Beyond Mud Walls a short documentary by a distant relative of hers, Nalini Paul, discusses the theatre performance she has conceptualised based Freda Bedi’s book. 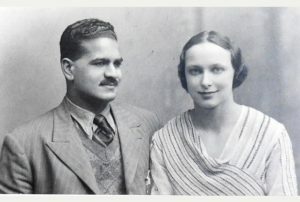 Vicki Mackenzie’s biography of Freda Bedi is readable and well-researched. The effort to collect information to build a portrait of a formidable woman so many years after her death could not have been easy. Yet she did it. Despite Vicki Mackenzie’s fascinating account of an Englishwoman who made India her home during the Indian freedom struggle, it is quickly overshadowed by the stronger and better narrated time of Freda Bedi’s life as a Buddhist nun. 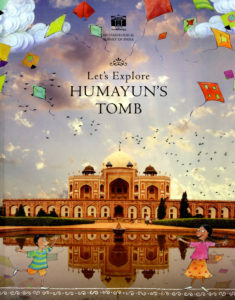 The Humayun’s Tomb-Nizamuddin area, inhabited by a vibrant local community, is visited by millions of tourists and pilgrims each year. Conservation works being undertaken on the monuments in this area have aimed to re-define standard conservation practice in India by setting benchmarks in using a craft-based approach, setting documentation standards, using a participatory and multi-disciplinary approach, and using the conservation initiative as a tool towards improving quality of life for local communities. 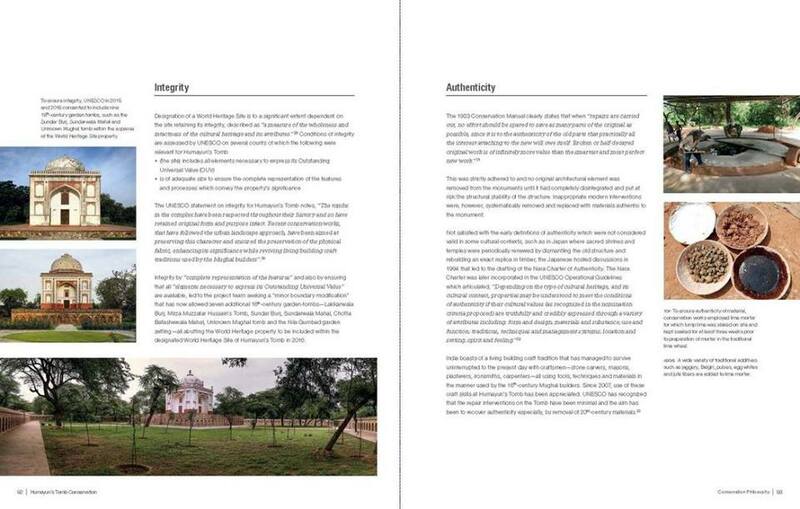 This book aims to inform the general public about the discipline of conservation and the rationale behind the successful conservation initiative and makes an argument for change in conservation approach in India: from isolated monuments to an urban approach that includes concern for the setting; from a ‘tender-based’ approach to a quality-concerned method; amongst other factors. Founded and guided by His Highness the Aga Khan, the Aga Khan Trust for Culture projects promote the conservation and re-use of buildings and public spaces in historic cities in ways that can spur social, economic and cultural development. 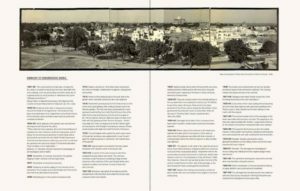 Ratish Nanda has led the multi-disciplinary team implementing the Nizamuddin Urban Renewal Initiative since the project’s inception in 2006. Prior to this, he was responsible for the Bagh-e-Babur restoration and the Humayun’s Tomb garden restoration, also at AKTC. I interviewed Ratish Nanda ( via email). Here are the excerpts. 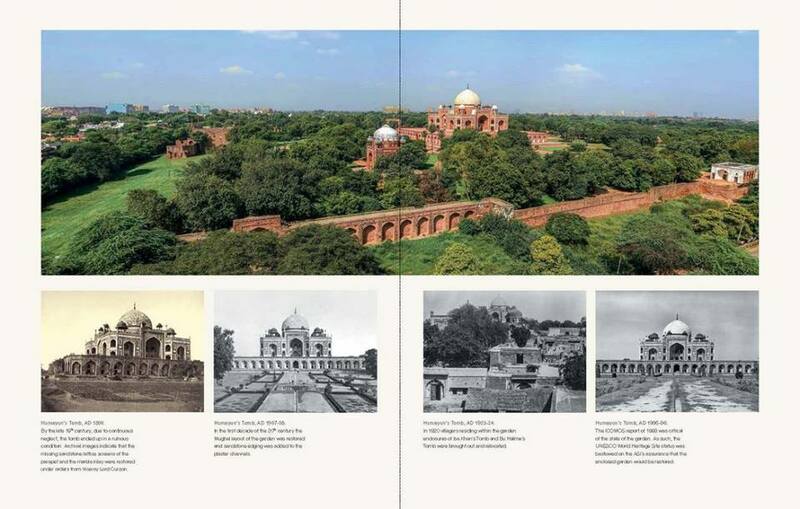 Though updates are continuously expected and have been done with the National Conservation Policy notified in 2014 by the Archaeological Survey of India, Many of the principles of the 1923 manual remain valid – and these have been highlighted in the book. The quote you provide is one such quote the validity of which remains and as such during the Humayun’s Tomb conservation effort every effort was made to ensure that original – Mughal material is retained. For instance the section on tile work illustrates where even tiles that had lost their glaze were retained. As the book explains repeatedly, what was in fact removed were inappropriate 20th century repairs causing damage to the building – such as cement plaster and cement concrete on the roof. This happened because craftsmen were no longer involved as the British replaced them with engineers, architects and archaeologists and nobody knew better. Are there any new principles you would wish to add to the conservation manual? For instance the dos and dont’s of using technology in conservation processes or different ways of documenting? Or do you think the 1923 guidelines are valid even now ? I think the new National Conservation Policy already addresses new issues such as use of digital technology to document the entire process of conservation. It should be documented prior to, during and after conservation in maps, drawings, photographs, digital records and field notes so as to create records of interventions. The documentation should capture various stages of intervention and all relevant details. This will be useful from the point of view of understanding all past and current interventions in the future. The revised policy also encourages public private partnership in heritage conservation and management. 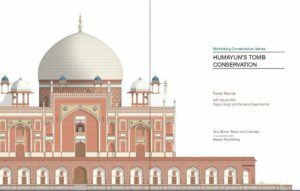 The restoration of the Humayun’s Tomb is a good example of this as it is a collaboration between AKTC, ASI & TATA Trusts. 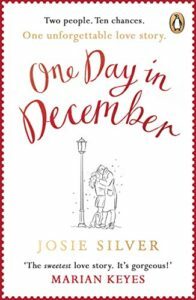 How long did this book take to write? The project has taken over a decade; the book is an attempt to put the project learnings in the public domain as well as explain to interested stakeholders what the conservation process was. This is shared with the belief that both conservation professionals as well as officials, administrators, donors, students (history, architecture, conservation, and archaeology) could use this as a case study/ model and more such projects could be undertaken. You have worked on conservation of other historical sites including in Kabul. 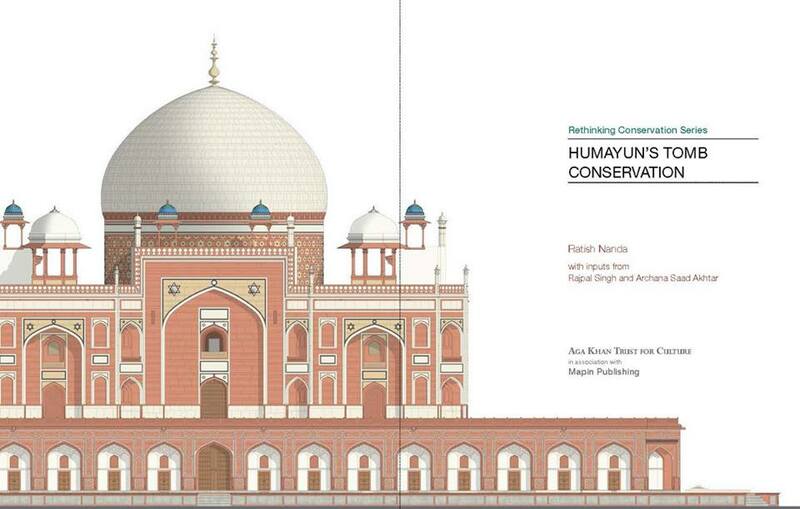 Why was Humayun’s Tomb singled out for this detailed documentation? Kabul has also been published. Detailed documentation of the conservation process is best practice. These significant sites belong to the people and its important that anyone interested has access to information on what has been done and how. For instance in Aga Khan Historic Cities Programme: Strategies for Urban Regeneration. What is a unique aspect in the conservation of this tomb as opposed to the other monuments you are associated with? Are there are conservation techniques that you had to rediscover and have now revived? For instance making of the blue tiles in Nizammudin where you made more than 20,000 samples before selecting the one definite process. Do you think this process of making blue tiles will be revived or exist only as long as the tomb needs it? 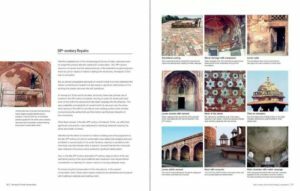 We are still making tiles – they are required on at least 40 monuments in the Nizamuddin area as well as several more countrywide. Furthermore it is hoped that the craftsmen will be able to make tiles for the souvenir market as well. 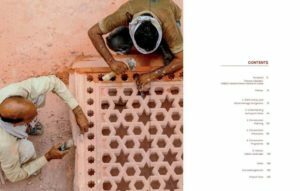 The tile-making craft had died in India; its revival has cost a fortune and it is hoped some of the youth will have the initiative to make an industry out of it as there is a significant demand for these tiles – from both conservation purposes and growing demand from the market. 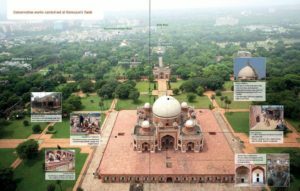 Is conservation of historical monuments only to be done via brick-and-mortar routine using specialists or does it involve sensitisation programmes particularly among school children? For instance organising workshops, historic walks, screening of documentaries, writing / painting competitions etc. Awareness is extremely important and this book is one tool towards it. During the conservation effort we have produced other publications – such as the children’s book of which 60,000 copies have been sold till date. Youth from Nizamuddin basti usually walk through 6-7000 school children each year. There is also a very active Facebook page. Why is it that the Humayun’s Tomb has produced two books — children and adults and none of the other monuments? We hope to produce more such technical books to serve as case studies. Our objective is to share the knowledge we have generated as part of the project. What was the most exciting and most challenging moments in this conservation exercise? Undertaking India’s first privately undertaken conservation effort has been a challenge as many suspicions have to be addressed and a proper conservation process established. 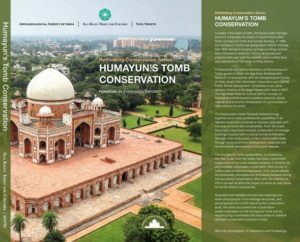 By far the most exciting outcome has been the recent expansion of the Humayun’s Tomb World Heritage site to include 11 additional monuments on which Aga Khan Trust for Culture undertook conservation. Were there any portions of the building that were irreparable and beyond conservation? There are portions of the building where the original treatment had been lost – such as the tomb chamber – where until the mid-20th century the walls were tiled and the dome gilded – here, with the lack of evidence, conservation effort could not restore the original builders intention. Also the lack of historical accounts that either document or hint at this process are not enough to justify restoration. Conservationists need in-situ or clear photographic evidence to emulate the processes. What are the learnings from this conservation programme? Are any of these applicable in other conservation projects in India and rest of the world? The book lists all the learnings – established that craftsmen need to be in the centre of the conservation effort; conservation is as much responsibility of the private sector as of government; conservation decisions should be based on an understanding of the site and its significance. The conservation process established – including repeated independent peer reviews – is replicable for any project, anywhere in the country or beyond. Also, we must document all such efforts and explain the rationale for these in a written statement. Something that will explain the condition of the monument, the rational for conservation works and outlines the process followed. We remain available to assist the Government of India wherever they would like us to support an urban conservation effort. Join us for the launch of a special website at the Oxford Book Store, New Delhi– N 81 Connaught Place, New Delhi on Tuesday, the 5th of August, 6:30 pm onward. Bolbosh in Kashmiri means communication in a very endearing way, such as that of birds and children. Created by Asiya Zahoor, the website, Bolbosh is an archive of aesthetically rich and culturally significant literature from the Baramulla region written in languages such as Balti, Pahari, Ladakhi, Shina and Dorgi, Gujri and Kashmiri. Apart from this, it also contains an online Kashmiri dictionary, which has been compiled with the diligent efforts of various scholars and students from Kashmir University and Baramulla Degree College.